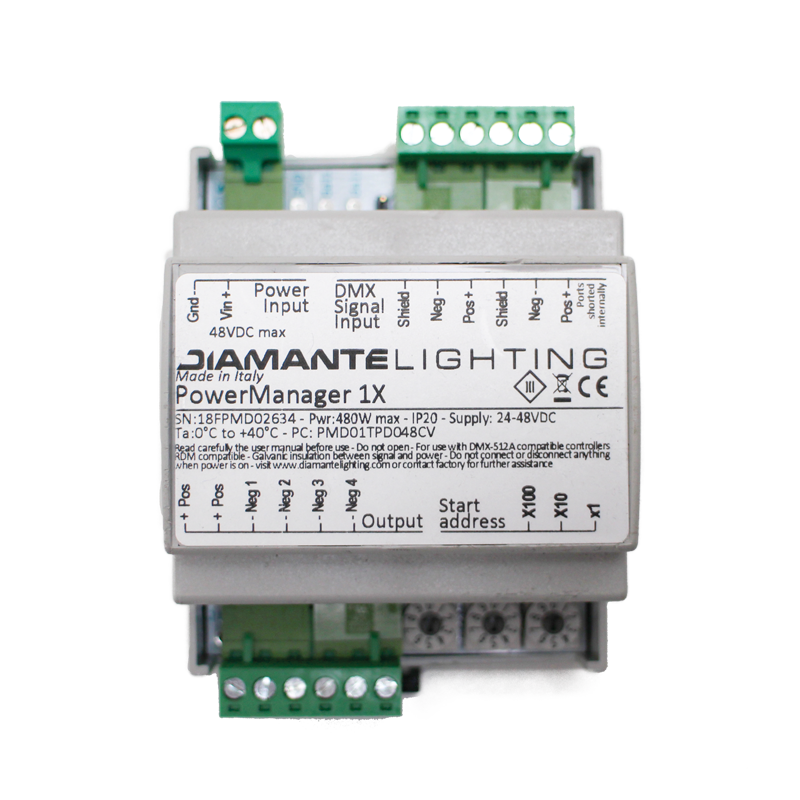 It is the optimal solution to handle a group of lighting devices, in constant current or constant voltage mode, through a signal generated by a DMX-512A standard control unit. This enables dimming and/or colour changing, allowing energy saving and generation of pleasant visual effects. 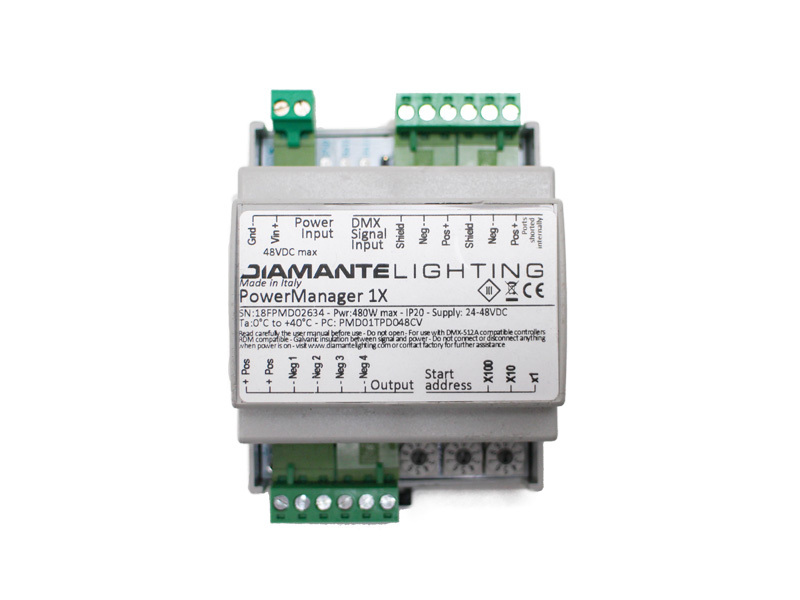 Compact and easy to install, this device is well suited for small fixture groups control. 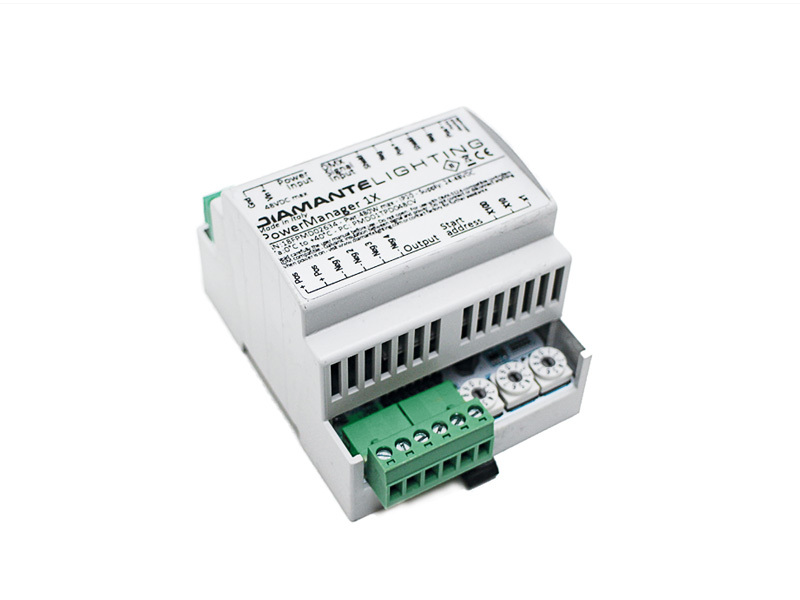 Features: Provides modulation of 4 output channels according to digital control of a DMX-512 bus. Output can be constant voltage or constant current. First channel address is set by three rotary dials or by bus. Footprint can be 4 channels or 1 channel.